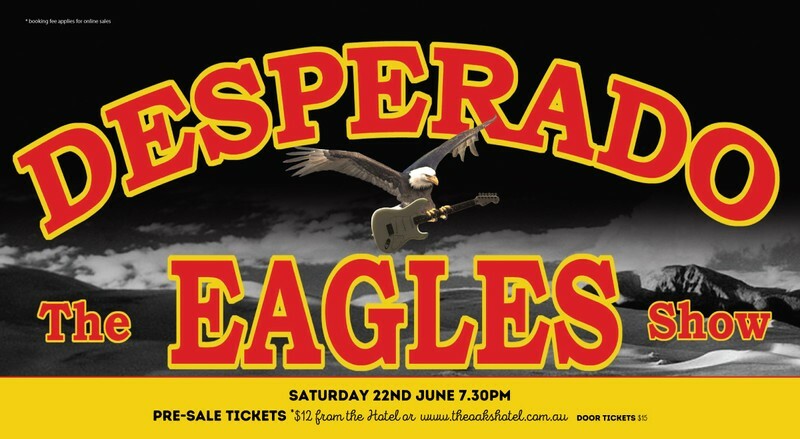 Desperado are the best Eagles tribute in Australia and winning multiple Awards is testimony to this! The Eagles are amongst the most popular bands worldwide, and their melodic country-rock sound has spawned numerous hits that are constantly played on major radio stations all over the world. Desperado, The Eagles Show was created to fill that void left by this prolific band.